Exactly one year ago today, I posted on Facebook that I was looking for a good beginner’s summer swim team program for Z. There are so many swim team options for kids in our area that I found it all a bit overwhelming! Friends recommended the Delaware, Ohio D.A.R.T.S. Stingrays swim team as a great first swim team experience, so I reached out to the head coach through email and soon afterward our swim journey began – resulting in one of the best and most influential summers of Z’s young life. Joining a swim team for the first time is like entering a whole new world, so this post is my attempt at a “summer swim team 101” for any parents who are finding themselves where I was last year! Z had never been one for traditional competitive sports. 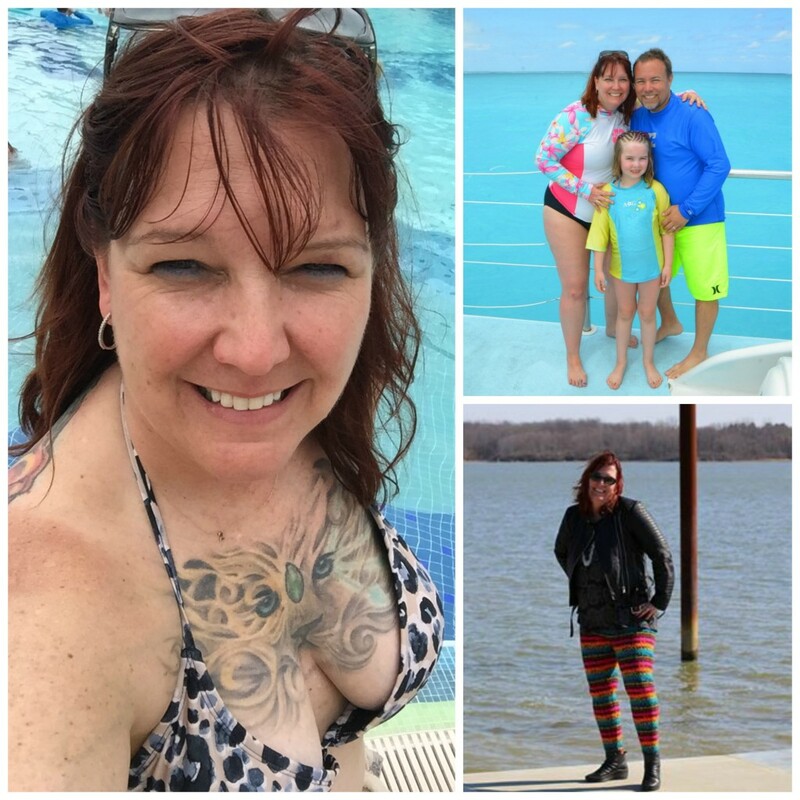 She had tried many activities – music classes, gymnastics, dance, soccer, Tae Kwon Do, riding lessons, basketball camp, Girl Scouts and more – but swimming is the one passion that has consistently been her favorite thing to do since before she could even walk. 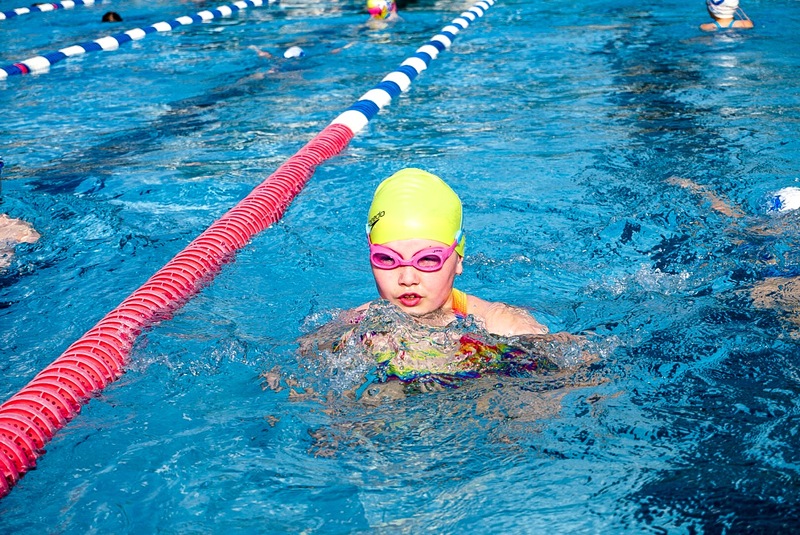 I wanted to get her on a swim team early, but I was also afraid that a lot of instruction and coaching could take the joy out of something she has always loved so much. Well, I needn’t have worried. During our summer 2018 swim team mornings with Coach Bill and the D.A.R.T.S. program, I saw Z work harder than she ever has in her entire life – yet she never lost her love of swimming and the water. If anything, sharpening her skills and building her endurance gave her stamina to play and swim and splash for far longer than I ever would have thought possible. There were many summer days where she toiled at swim practice all morning, then begged to go back to the pool in the afternoon! The D.A.R.T.S. summer swim team program runs from late May through mid-July and involves daily practice Monday through Friday, plus competitive meets on as many weekends as you and your swimmer want to sign up for. 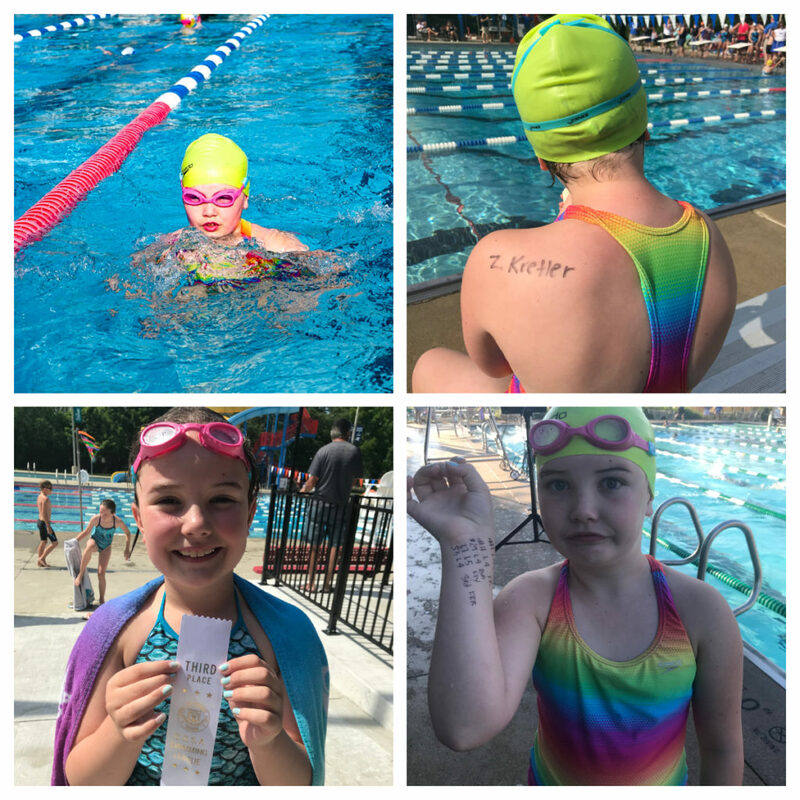 We took it fairly easy our first summer and only did about four weekend meets – but she definitely caught the competitive bug and discovered that she LOVES racing! The D.A.R.T.S. program is flexible – coaches know that many families take vacations during the summer, so it’s never an issue. The D.A.R.T.S. swim program operates out of the Jack Florance Pool at Mingo Park in Delaware, Ohio. It’s a friendly community pool with plenty of seating and shade for swim parents to sit, watch and WFP (work from the pool) on those beautiful summer mornings. I loved every second of being a swim team mom and I cherished getting to go to so many of Z’s practices last summer during my unexpected couple of months off work! If you’re thinking about summer swim team for your age 6 or up kiddo, I highly encourage you to go for it. 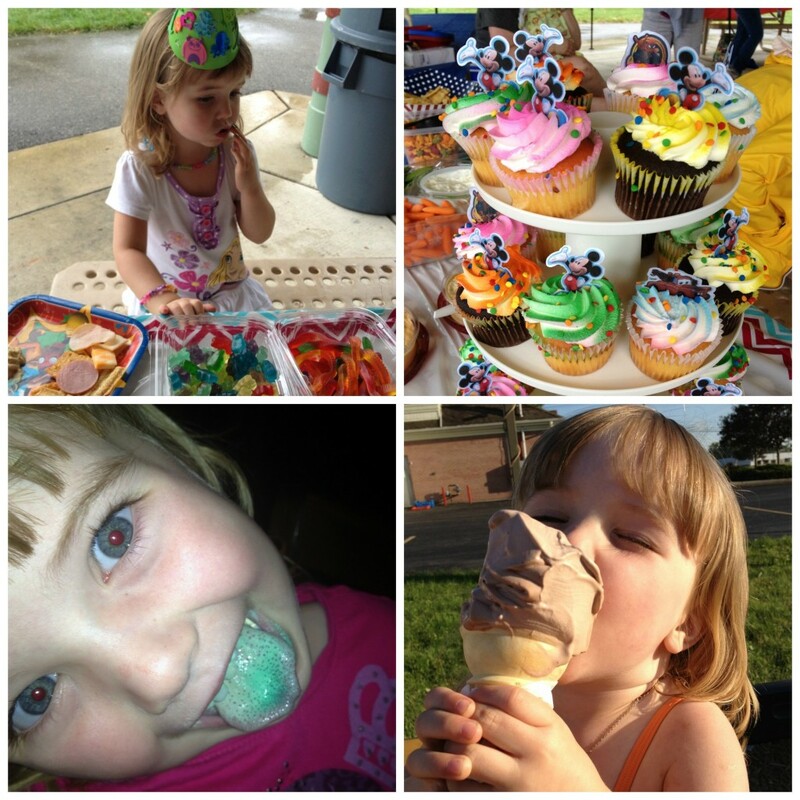 Z learned so much about working hard, teamwork and competing through her first year on swim team. She improved her strokes and developed admirable stamina and endurance – she can out-swim me every day of the week and twice on Sundays! We continue to keep her skills honed at Goldfish Swim Club’s Swim Force swim team during the winter season, and we’re already stoked for this year’s summer swim team season. I’m still a newbie swim team mom, but I’m happy to pass along the things I’ve learned, including how to protect their hair from pool chemicals. What have I missed here – or what questions do you have if you’re new to swim team life too? It’s definitely a topic I’d love to blog more about, especially as Z starts up her second swim team season with D.A.R.T.S. in a few months! I’d love to hear from you in the comments below or over on Facebook.